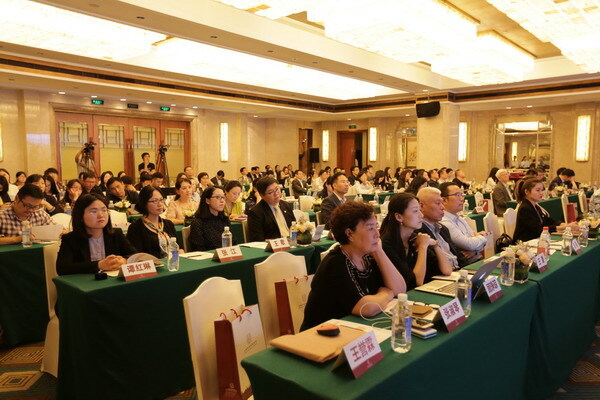 The symposium on protection of minors' rights and interests, sponsored by Shanghai Soong Ching Ling Foundation, was held at Hengshan Hotel in Shanghai on May 23, 2018. Shanghai Soong Ching Ling Foundation’s former vice chairman Xie Lijuan, Shanghai Municipal People's Procuratorate’s deputy attorney general Gong Peihuad, Shanghai Municipal Judicial Bureau’s deputy director Wang Xie, All China Lawyer Association’s vice president Sheng Leiming, vice president of Shanghai Institute of Politics Science and Law Yao Jianlong, Shanghai Municipal Civil Affairs Bureau’s division director Zhang Jing and Shanghai Lawyer Association’s vice president Pan Shuhong and Lu Yan attended the symposium. 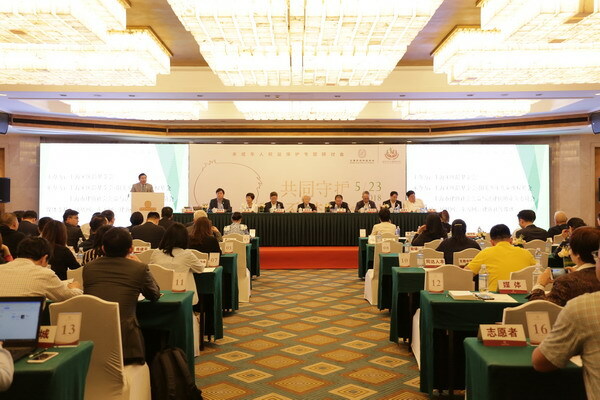 Also present at the symposium were more than 100 experts, scholars and relevant people of the government departments, judiciary authorities, people’s organizations, as well as the legal profession and the public welfare sector from Municipalities of Beijing and Shanghai, and provinces of Anhui, Guangdong and Sichuan. The symposium focused on the topics of establishing and improving legal mechanisms to prevent and punish sexual assault and violence against minors and the contribution of social forces to the protection of minor rights and interests. All the participants agree that it is an unshakable responsibility of the whole society to build a healthy growth space and a safe living environment for minors. It is of great importance to further strengthen the collaboration among the government, judicial departments and social forces and promote the implementation of more effective mechanisms for the protection of minors’ rights and interests in the decisive stage of building a moderately prosperous society in all respects, and the socialism with Chinese characteristics entering a critical period of the new era. It is reported that SSCLF – Sunshine Special Fund of Protection for Children’s Rights, launched by Chen Naiwei, a trustee of SSCLF and executive dean of the Senior Lawyers College of Fudan University, was established in November 2017, sending a strong signal to the society that the legal persons in Shanghai take an initiative to participate in the public welfare cause of young children. At the symposium, lawyer Wang Li, secretary general of the special fund disclosed that the team is now actively involved in several cases of minors’ abandonment and sexual assault, hoping that the professional legal aid can bring hope to the families of victims tortured by pain.